Product Detail Summary: Get the drop on the Alliance with this airborne, goblin-engineered attacker! 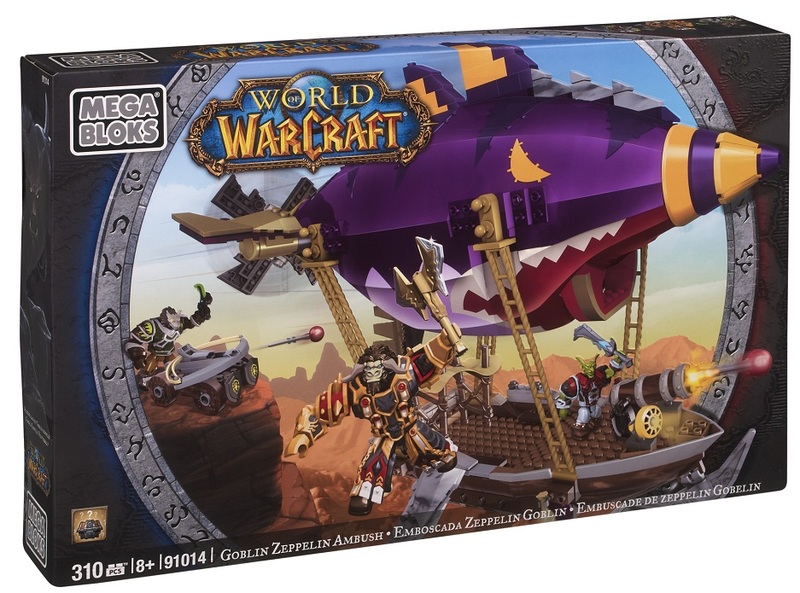 Featuring a unique balloon and a brick-blasting cannon launcher- you may ready for battle with Krazzle, the Goblin Rogue, and Light Hoof, the Tauren Paladin. Both feature highly collectable judgement armor. The Worgen Rogue, Darkhowl, can stage a counter attack with his buildable Alliance crossbow as he plans a sneak attack on the Zeppelin. Also includes a random loot drop- armor or weapons- to add to your collection! Buildable large Alliance crossbow with working launcher. Includes random loot – alternate armor or weapon – in each set!